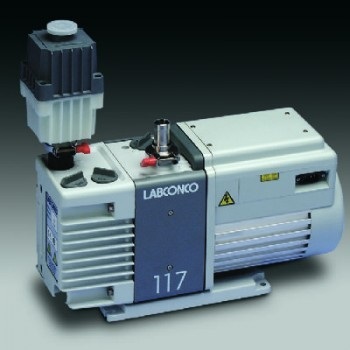 For the laboratory with occasional lyophilization requirements, the Dry Ice Benchtop Freeze Dry System provides a simple, economical means of freeze-drying. Since dry ice cools alcohol or other heat transfer solutions to approximately -75 degrees C or -103 degrees F, the Dry Ice Benchtop Freeze Dry System is ideal for processing materials with low eutectic points. The Dry Ice Benchtop Freeze Dry System is equipped with a center well for dry ice and solvent that serves as a water vapor collector and doubles as a convenient pre-freezing bath. 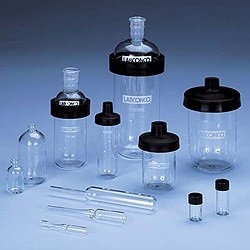 Flasks, serum bottles and ampules may be frozen by dipping and rotating them in the well. Type 304 stainless steel with twelve valves and a single run capacity of 1 liter. Valves accommodate either 1/2" or 3/4" flask adapters. 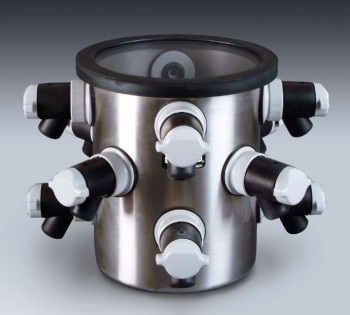 Includes the dry ice and solvent center well with 1.92 liter capacity and cover, 1/2" outside diameter port for connection to vacuum pump and 3/8" outside diameter port for connection to vacuum gauge.